This deal is going to be a very hot seller so don’t miss out! Click here to buy now or for more info about the deal. The Lindt Chocolate Shops are perfect destinations to experience the decadent Lindt Chocolate masterpieces. 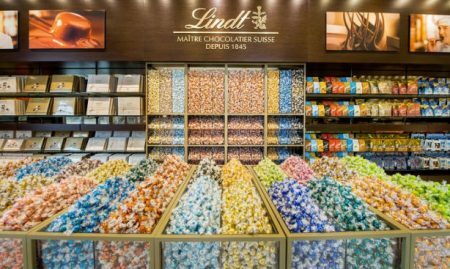 All Lindt Chocolate Shops offer a memorable experience, including a unique assortment of decadent chocolate, beautifully wrapped gifts, and exceptional customer service. Promotional value expires Mar 14, 2019. Amount paid never expires. Valid in-store only. Tax not included; listed purchase price is before taxes. See in store for additional details. Some exceptions apply. Valid only at Lindt Canada shops. Limit 1 per person, may buy 2 additional as gift(s). Limit 1 per visit. Must use promotional value in 1 visit(s). Valid only at listed locations. Not valid with other offers or promotions. Merchant is solely responsible to purchasers for the care and quality of the advertised goods and services. Offer is not eligible for our promo codes or other discounts.